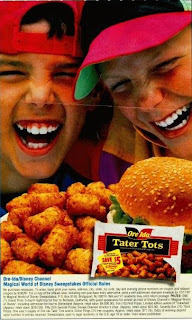 Tater Tots? Looks like these kids have had enough junk food, especially those of the highly sugary sort. Are are they doing, by the way?